Hot Dog and Slider, Fletch’s, San Mateo, CA, a photo by schahn on Flickr. 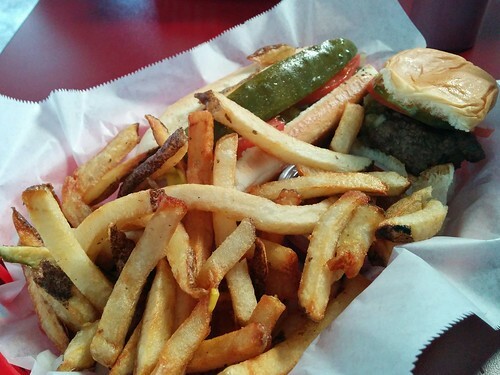 We went on a drive today, to try Fletch’s Chicago-style hot dogs and sliders. They make their own dipping sauce, which has a touch of spice and went well with the fries. I couldn’t muster the appetite, but there is a Beard Papa on the very same block of 2nd Ave.